All sessions took place during Arabic classes and the Arabic staff prepared special materials for the week to suit all the standards in the Department. During these sessions, the students learnt to develop four main aspects of their writing: Vocabulary, Connectives, Openers and Punctuation. These are the four main elements of writing which students can learn and develop their skills in, to become more confident and competent writers. The sessions included time for students to plan their writing. They were provided with ideas for their story writing and special booklets were designed for that purpose. The students wrote their stories independently, paying careful attention to planning and language at the same time. The subject they are given to write varied from Year to Year and included a selection of different writing genres. However, it might relate to the topic work being covered in class. 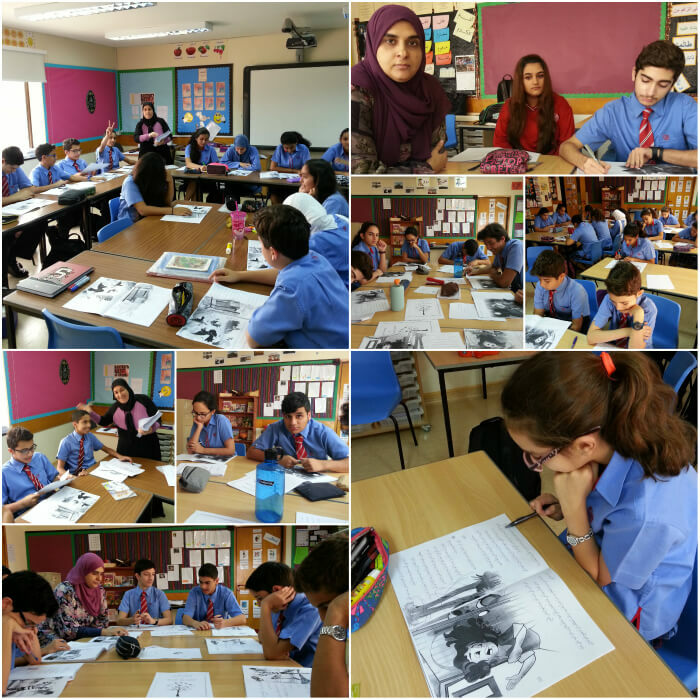 At the end of the week, each student was given a chance to read his/her story and an open discussion was held by staff and students where they evaluated the works. As this week was a real success, I thank staff Miss Rehab, Miss Amal and Miss May for their hard work and above all, I thank the students for their hard work, hoping that they learnt new experiences in Arabic writing. Well done to all!